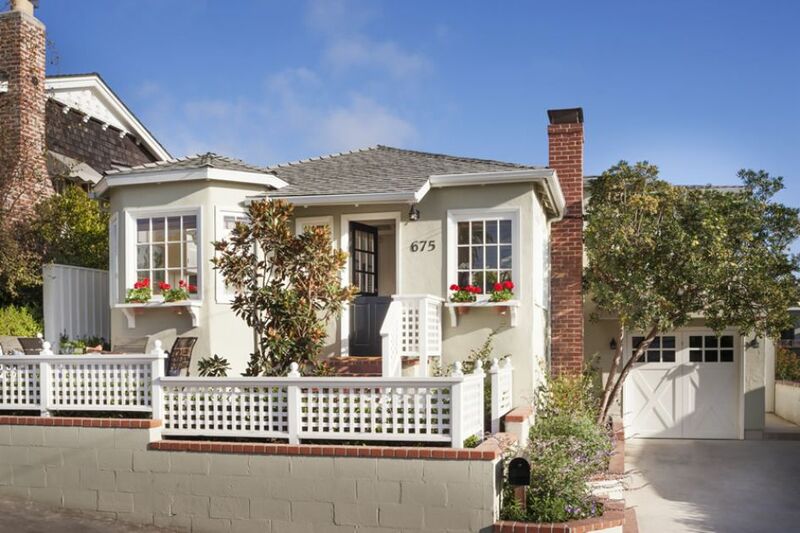 Look inside this completely remodeled 1946 beach cottage! 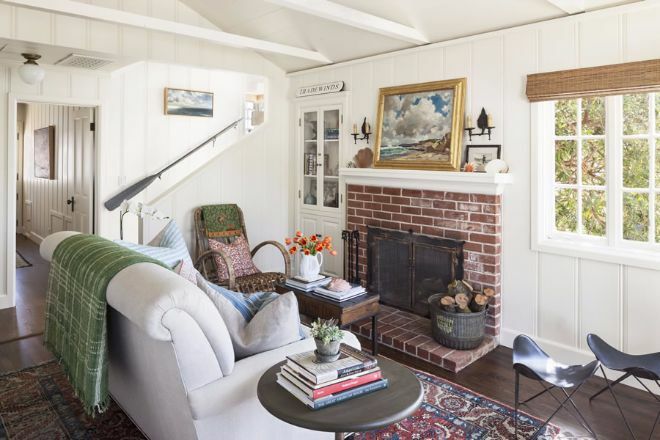 This welcoming 1946 beach cottage in Laguna Beach cottage was a complete "down to the studs" remodel. Refurbished items and antiques from the same time period were used in restoring the house. The care and attention to detail is apparent in every nook and cranny of the 950 square foot home. The hard work paid off, and the result is a charming home that takes you on a journey back in time. 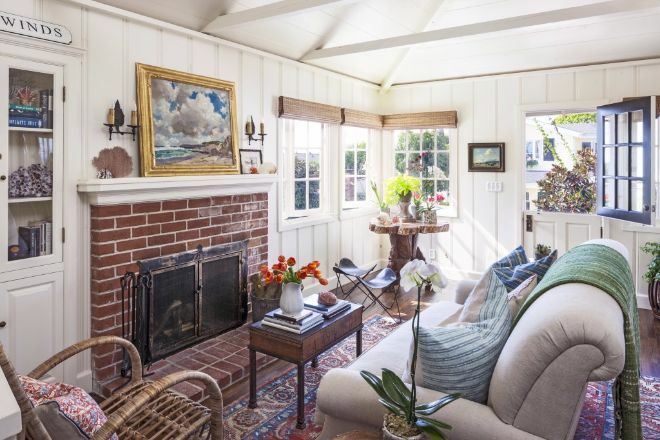 The interior design of the home is traditional with plenty of coastal cottage flair. 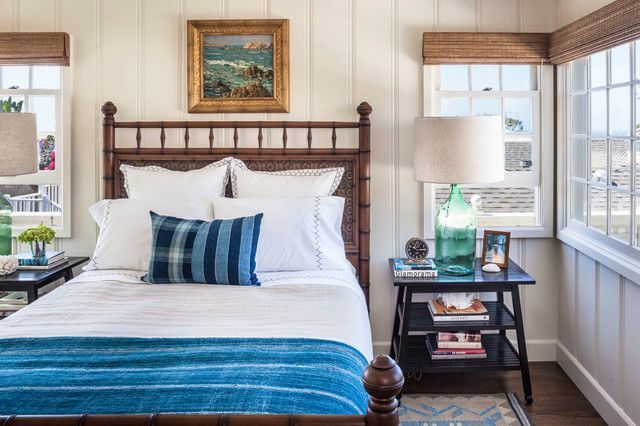 Inspiration from the nearby beach is displayed throughout the home including framed vintage swimsuits, a boat oar, and dried coral. 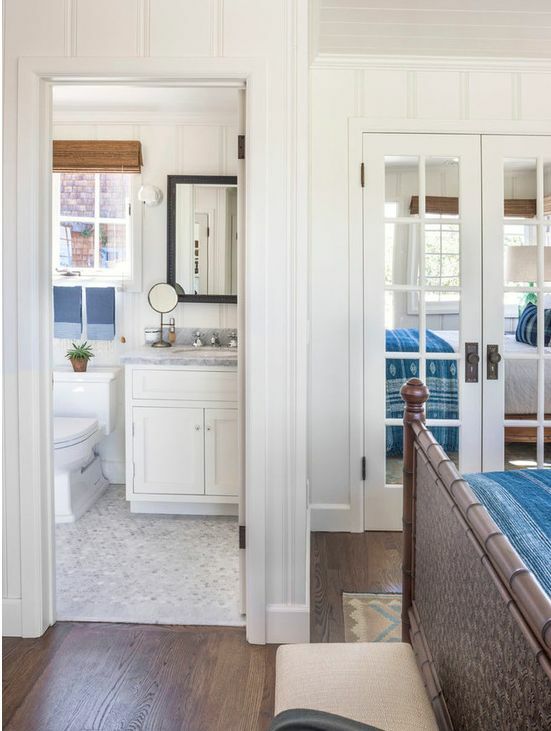 The Dutch door makes the perfect entry, and welcomes the cool sea breeze. The living room features vintage artwork above the mantle of a beach scene - essential artwork for any coastal cottage! Another nod to the sea is an antique boat oar used as unique wall decor. Get creative when antique shopping and try to think of possible purchases in new ways, the possibilities are endless. Framed vintage swimsuits make for playful artwork. If going for the same eclectic vintage look in your own home, remember that the color scheme does not need to be perfectly matching. The goal is to create a style that looks collected over a long period of time. 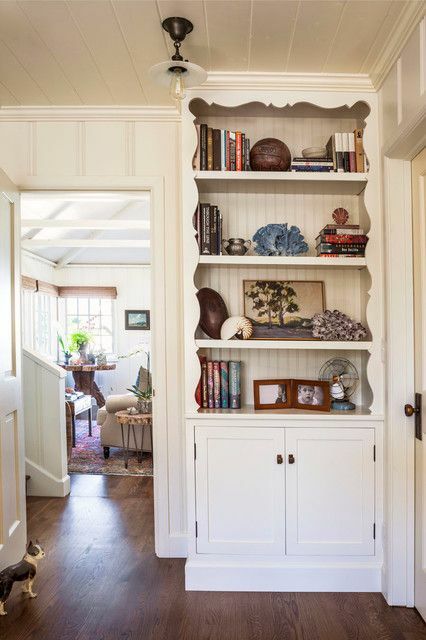 A hallway bookshelf is styled with books, antiques, and beach decor. The build-in cabinet creates much need storage without taking up too much square footage. 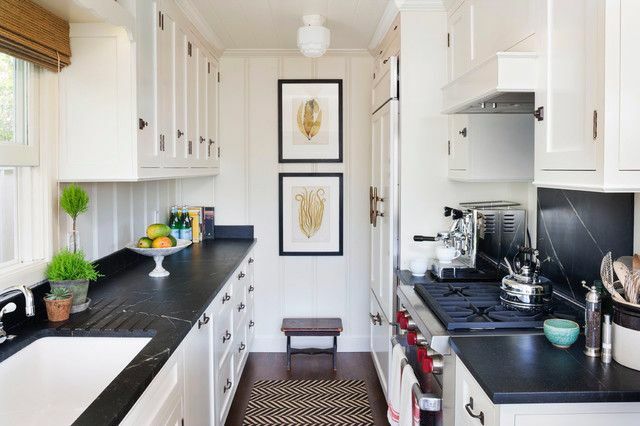 Dreamy soapstone counter tops were installed in the kitchen. White cabinets and white walls keep the space from feeling too cramped. 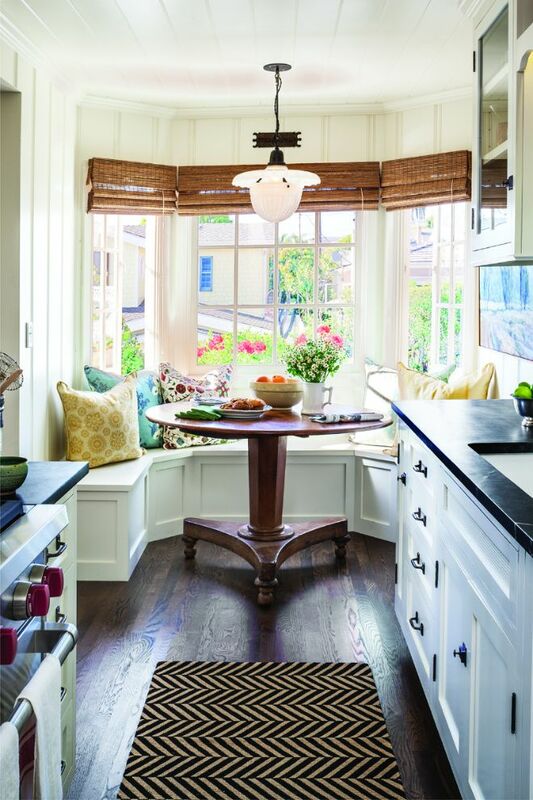 The built-in dining bench saves space. The breakfast nook is bright and lovely, a perfect place for brunch before hitting the waves. The bedroom displays more ocean artwork. Bamboo roman shades are used as window treatments. Roman shades are a great alternative in a small room, where curtains might be too fussy. Antique is perfectly placed in this corner of the bedroom. 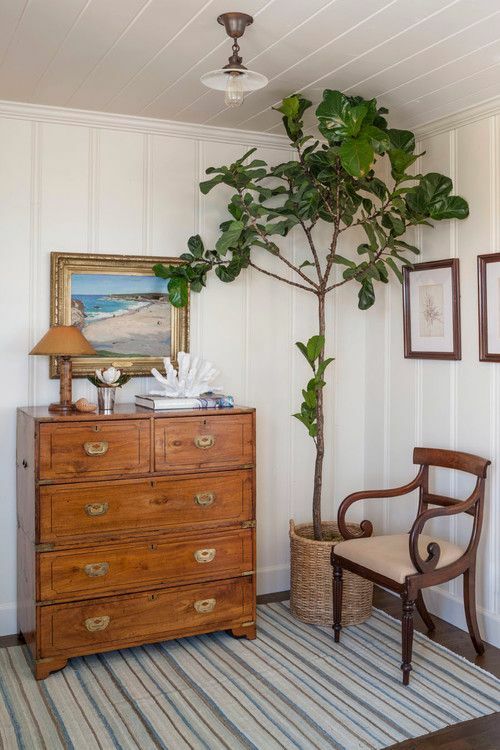 Bring nature and life into your home with an indoor tree like this fiddle leaf fig. The master bathroom is classic and clean with marble flooring and counter top.